ways to alleviate poverty worldwide. Camfed’s flagship funding program provides holistic support to girls from the start of secondary school to completion. Targeted support covers school fees, uniforms, school equipment and sanitary protection. Since 1993, Camfed has provided secondary school bursaries to 219,156 girls from poor, rural communities in Ghana, Malawi, Tanzania, Zambia and Zimbabwe. The bursary scheme targets girls selected by communities themselves as the most vulnerable and disadvantaged. Many are orphans and at the highest risk of dropping out. Camfed guarantees that all girls identified to receive bursaries have the opportunity to complete a full cycle of secondary school, which is a four-year period in most of the countries in which we operate. Camfed bursaries have encouraged regular school attendance in partner schools while lowering drop-out rates. These school retention rates are an impressive achievement in a context of high drop-out rates in the countries where we operate, especially for girls in rural areas. Our Safety Net Fund helps children from the poorest households to stay in school. The fund does this by covering the cost of items they cannot afford, like stationery, school clothing and shoes. This encourages children to learn and boosts their morale. Many of the children are orphans cared for by grandmothers or other relatives who have many other children to look after. 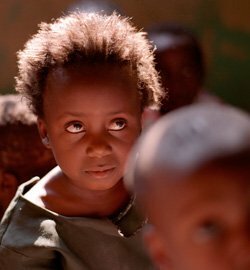 As many as 20 percent of all children in rural Zambia are orphans, and the figure is around 25 percent in Zimbabwe. A lack of books, pencils and other school equipment in rural schools leads to high rates of grade repetition and drop out. Camfed resource grants help to provide books for classrooms and libraries, as well as teaching resources, such as stationery, chalk and blackboards. Learning resource grants can also go towards water, sanitation and hygiene programs in schools. Camfed’s health and hygiene training in schools, through young women in the CAMA network, complements these projects. We support girls in applications and preparation for tertiary education. Camfed works closely with all girls after they leave school to help them in the vulnerable period between childhood and adulthood. Read here about the training and business opportunities we offer. We also help girls prepare for tertiary education, including teacher training college, nursing and university. These young women are often the first in their communities to go on to higher education. 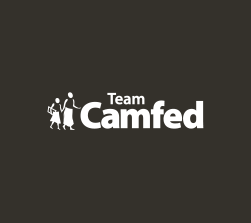 Child protection is central to Camfed’s work. We are receiving growing recognition as a leader in policy on child protection and the protection of girls. 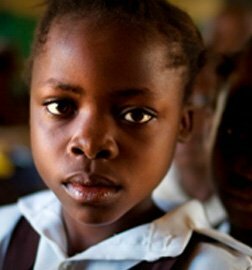 In Zambia for example, the Ministry of Education adopted national guidelines that were developed by Camfed on preventing and stopping child abuse in schools. Camfed provides child protection training to school and community networks, helping them to raise standards for safeguarding the rights and welfare of children. With training and support from Camfed, partner schools can put child protection policies in place. Camfed trains Teacher Mentors in all the schools with which we partner. These teachers act as role models to young girls, and provide them with crucial social guidance and support. We also work with school-based committees and parent support groups so they can find the most effective ways to help children learn. 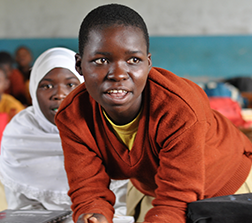 Crucially, Camfed also offers support to girls and their communities at key points of transition such as between primary and secondary school, and after secondary school, when girls are most vulnerable.